Although we’re far, far away from large-scale adoption, the ball has finally started to roll for Windows on ARM64. 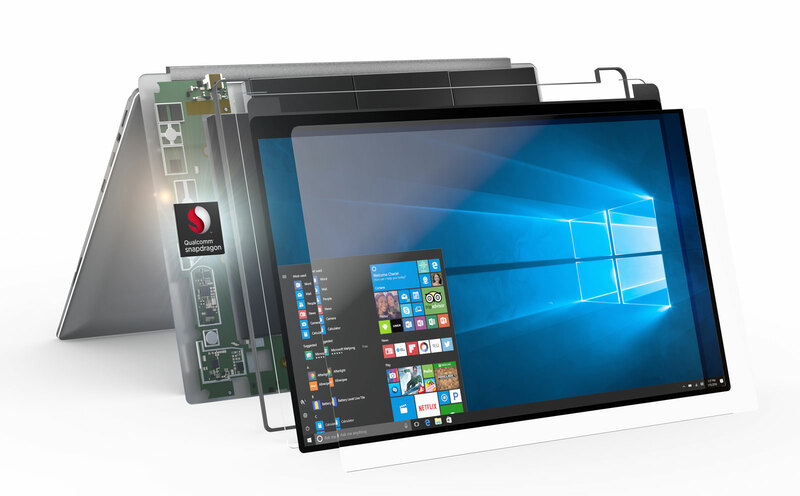 Qualcomm’s partnership with Microsoft for Always-Connected Windows PCs is a small step in a direction that has the potential to create a massive shift in industry dynamics. However, as Microsoft’s choice of processor for the recently launched Surface Go demonstrates, the pair are yet to iron out the kinks even for this small-scale partnership. Now, we just might have more details for Qualcomm’s Snapdragon 8180 – the processor expected to utilize ARM’s fresh Cortex A76 cores. Take a look below for more details. A while back we heard reports surface that Qualcomm will change the way it markets the Snapdragon processor lineup. A lot of details for both the Snapdragon 855 and Snapdragon 1000 have surfaced lately, with the processors expected to target smartphones/tablets and low-powered notebooks respectively. The main selling point for Qualcomm and ARM’s processor design is their TDP – which is massively lower then what Intel has to offer. In addition to rumors of Qualcomm changing names for the Snapdragon lineup, it’s also rumored that the company will launch a brand new low-power notebook processor that’s dubbed as the Snapdragon 8180. Now, the Snapdragon 8180 has surfaced in GeekBench 4 and by the looks of it, it’s in the early stages of development. 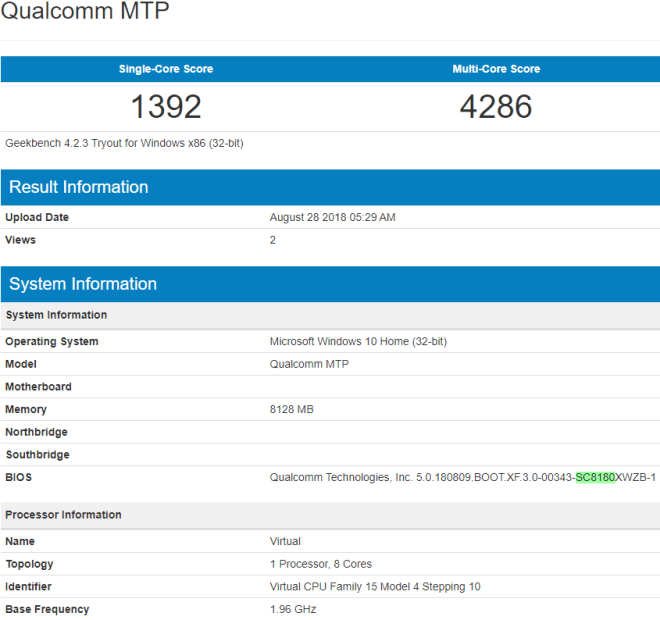 Judging by the results, Qualcomm’s still in its initial stages of testing the Snapdragon 8180. The chipset scores 1392 in single core and 4286 points in GeekBench’s tests. It’s also running on 8GB of RAM and a 32-bit variant of Microsoft’s Windows 10. Additionally, as the folks over at Winfuture have highlighted in the image above, you can see SC8180 mentioned in the BIOS. Qualcomm and Microsoft really need to learn a thing or two from Apple when it comes to posting strong benchmark numbers. Cupertino’s A11 dominates scores and can easily reach 10,000 points. The pair really needs a more intensive approach if they plan to consistently break into the low-power notebook market and post consistent results across the board. For this, ARM’s already on board with the Cortex A76, which is its latest core design. The A76 is specially designed with low-power notebooks and Windows 10 in mind. The core features more cache, upgraded branch prediction, a new micro-architecture, and is able to reach frequencies of up to 3.1GHz. How well this design is implemented by OEMs will determine the future of Windows 10 notebooks on the ARM64. Right now, we’re at the beginning of the beginning.